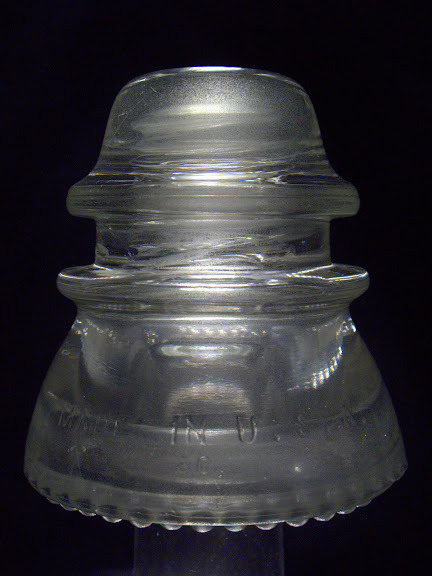 This antique glass insulator was featured in a photo I posted back in March. This is one of my favorite finds and I have had it for over 30 years. I found it on the beach near the Virginia-North Caroline border. If you look carefully you will notice near the top evidence from sand pitting in the glass. Also look for the glass screw threads in the center where it once screwed down on a wooden peg on the old telephone pole. The image was lit from below with a Litepanel Micro. Canon G10, 1/320 sec @ f/3.5, ISO 400, 22mm in macro mode.